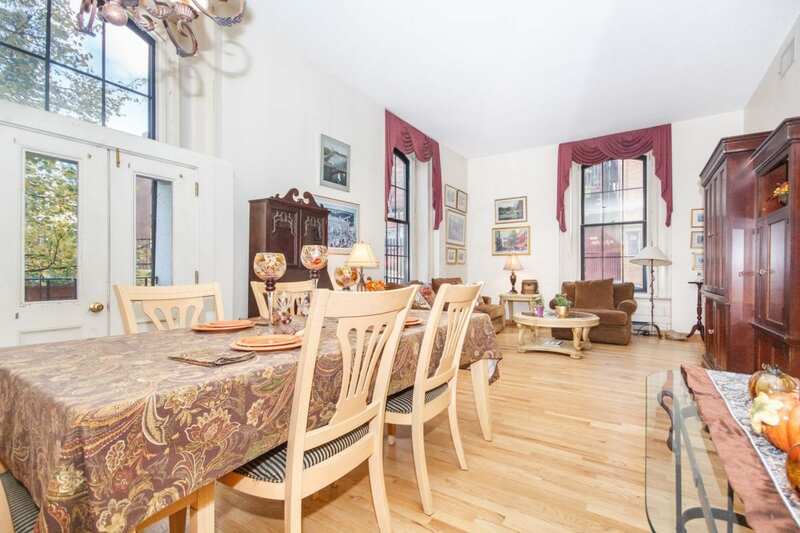 Spacious and bright 2 Bedroom, 1.5 Bath Corner unit in The Historic Bunker Hill Schoolhouse Building! 2 Separate Parking Spaces! Towering 11’+ ceilings! Amazing Open Layout! Oversized windows are everywhere! The fully applianced chef’s kitchen opens to an elegant Dining Area with Double Glass Doors, Transom window & Juliette Balcony! Original Chair Rail detail! Enormous Formal Living room with great windows! The living space in this home is truly amazing! Each of the two bedrooms have wonderful closets and large windows! Recently renovated full bath with tile tub surround and flooring, designer vanity! Amenities include: central air conditioning, in-unit W/D, common roof deck with flawless Skyline Views! Private storage, professional management and easy access to public transportation. A Great Value in Today’s Market that affords you the ability to incorporate your own creative & custom upgrades! Your New Home Awaits You!